Are you looking for a unique gift to show someone special how much you care? Bethel Woods, situated at the historic site of the original Woodstock festival, is now offering custom-etched stone pavers for a one-time tax-deductible contribution of $269. Not only is this a long-lasting gift that expresses your love, it is also a gesture of support to help preserve this historic site. And get this…if you order by April 15th, 2019 your stone will be installed in June right before the 50th reunion event scheduled for August 2019. 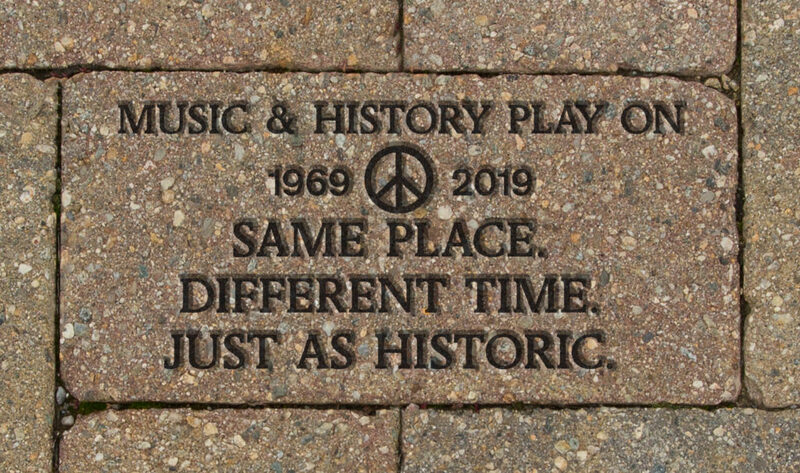 Find out more information about how to order your paving stone here.For more information on Bethel Woods’ commemorative Woodstock event celebrating fifty years here.